The city of Detroit says the Office of Inspector General has launched an investigation into Mayor Mike Duggan and the city's interactions with the Make Your Date nonprofit. 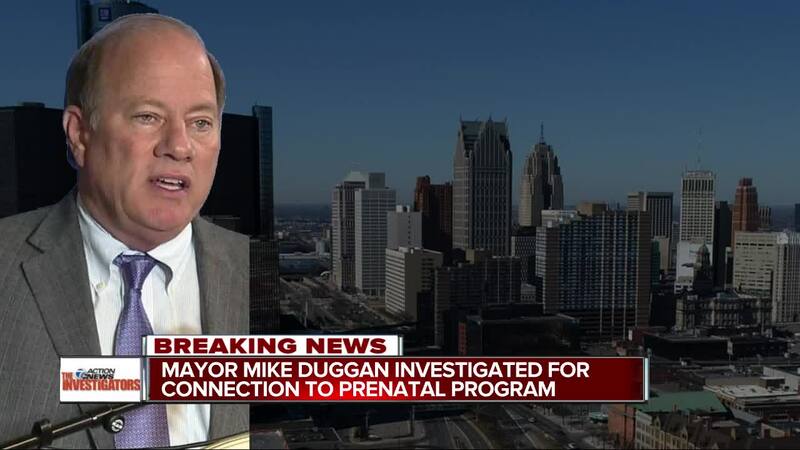 DETROIT (WXYZ) — The city of Detroit says the Office of Inspector General has launched an investigation into Mayor Mike Duggan and the city's interactions with the Make Your Date nonprofit. The City of Detroit Office of Inspector General (OIG) announces, as of Friday, April 5, 2019, that an investigation has been opened in regard to Mayor Mike Duggan and the City of Detroit’s interactions with the Make Your Date Non-Profit. The OIG is duty-bound, pursuant to the Charter of the City of Detroit, to initiate and to pursue the investigation. In accordance with the Charter, the investigation will focus on whether the Mayor and/or any City officials potentially abused their authority by providing preferential treatment to the Make Your Date Non-Profit. Upon conclusion of the investigation, results will be shared with the Mayor’s Office, City Council, and the public. The investigation is in response to questions raised by a recent Detroit Free Press report highlighting efforts by the mayor's office to support Make Your Date, which is run by a Dr. Sonia Hassan, who Duggan was seen visiting at her home in Novi. Duggan foe Robert Carmack has raised questions about connections between Duggan and Hassan. We welcome an independent review by the Office of the Inspector General of the City’s role in Wayne State’s Make Your Date program, a program that’s helped thousands of high risk Detroit women deliver healthy babies. An unbiased, thorough review of the facts will demonstrate that the central claims and unsubstantiated suggestions made by the Detroit Free Press are completely false. The City’s efforts entirely supported Wayne State University and its Make Your Date program. No city funds were ever provided to a Make Your Date non-profit and no private money was ever raised for it. Every dollar of city funds was provided to and managed by Wayne State University. Dr. Hassan, a world renowned expert in reducing preterm birth, volunteered her time for this program and never any received any compensation. We expect the OIG’s review will conclude that the city’s role in supporting this important program to help more Detroit women have healthy babies was handled transparently, ethically and appropriately.